Our researchers have developed various in vitro models to study the fundamental processes causing musculoskeletal disorders. Although dedifferentiation is a phenomenon described for decades, molecular events underlying the process are not yet fully elucidated. As a consequence, dedifferentiation still constitutes a major brake in vitro for chondrocytes expansion, thereby preventing cartilage regeneration using expanded autologous chondrocytes. To provide better understanding of chondrocytes biology, the researchers at GIGA applied human osteoarthritis hip chondrocytes cultured in monolayer in a short-term dedifferentiation model (during 14 days). In this model, molecular events as well as substances able to delay or reverse dedifferentiation process can be tested. The researchers from GIGA have a large expertise in the isolation, expansion and differentiation of mesenchymal synovial fibroblasts (SVF) isolated from synovial tissue. SVF monolayer cultures represent an interesting model to study adipogenic, chondrogenic and osteogenic properties. This new three-dimensional in vitro model allows the study of cyclic compression on osteoblasts, embedded in a newly synthesized extracellular matrix. In this model, cell/matrix interactions are conserved and fluid flow through a three-dimensional extracellular matrix is allowed. This model of osteoarthritic subchondral bone osteoblasts allows the comparison of the sclerotic and non-sclerotic osteoblast responses to biochemical or mechanical stimuli. Furthermore, this model can be used in an original co-culture model, in which subchondral osteoblasts in monolayer are cultured together with osteoarthritis chondrocytes in alginate beads. It’s a useful tool to evaluate potential new drugs aimed at decreasing bone sclerosis and normalizing the osteoblastic phenotype. During movement, chondrocytes are subjected to tensile stress resulting from the sliding of articular surfaces. The Flexercell® FX4000™ is a computer-regulated bioreactor that uses vacuum pressure to apply cyclic or static strain to cells, cultured on flexible-bottomed culture plates. The force exerted on the chondrocytes and its frequency can be modulated. This model allows the study of traction on the metabolism of chondrocytes. It helps to study the effects of mechanical forces of various intensities and frequencies on the phenotype of adherent cultured cells. Moreover, different types of forces (tension, shear stress, compression) can be applied in 2D or 3D models. Embedded in a porous alginate matrix, chondrocytes maintain their phenotype for at least five weeks. The matrix provides a compartmentalization identical to that found in the hyaline cartilage in vivo, with volumes corresponding to those observed in normal cartilage. In this model, human or bovine articular chondrocytes are cultured in monolayer. 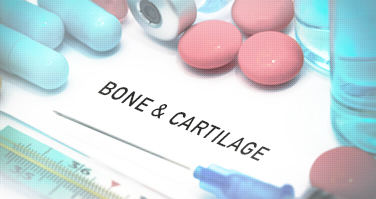 This allows the selection of potential anti-osteoarthritic compounds and the assessment of cellular proliferation, apoptosis and genes involved in cartilage remodeling.